CHATTANOOGA, Tenn. (May 12, 2015) – Fourteen startup teams from across North America and Europe will soon convene in Chattanooga to launch business applications that could thrive on gigabit networks. As the newest members of GIGTANK, these entrepreneurs will spend the next three months working with corporate partners, industry experts, investors and established business leaders to ready their companies for the next-generation marketplace. Hosted by The Company Lab (CO.LAB), GIGTANK is a boutique accelerator for startups developing high-bandwidth business applications. As the nation’s only startup accelerator wired to a metro-wide gigabit network, GIGTANK attracts world-class talent to Chattanooga each summer, as well as ongoing recognition from tech circles across the globe. This year, the program will accommodate 12 startups working with advanced networks, two 3D printing companies and four specialists who will provide support to all the teams throughout the summer. The teams’ applications address opportunities in virtual reality, big data analytics, beacon and sensor technologies, gigabit Wi-Fi and the Internet of Things, as well as several other areas of promise. To view a summary of each startup’s work, click here. The participants of GIGTANK 2015 come from a diverse array of geographies, backgrounds and skill sets. Among them, some are based as far away as Menlo Park, Calif. and Madison, Wis., while others are located in nearby cities such as Atlanta, Huntsville and Nashville. A startup from Canada and a startup from Oxford, UK will also participate in this year’s program. Most teams will be present in Chattanooga from May 25 through July 31 while free housing is available at the University of Tennessee at Chattanooga (UTC). Six teams will participate virtually as part of GIGTANK’s new dual-enrollment partnerships with other regional startup accelerators. Partnering accelerators include Atlanta Tech Village, Nashville Entrepreneur Center, Knoxville Entrepreneur Center and Rocket Space in Huntsville, as well as others to be announced at a later date. That groundwork encompasses a focus on 3D printing startups, as well as those focused on gigabit app development. In 2014, GIGTANK became the nation’s first startup accelerator designed specifically for 3D printing companies. Incorporating that focus area resulted in the relocation of two GIGTANK startups to the Chattanooga area – Feetz, which prints custom-fit footwear, and 3DOps, which prints patient-specific anatomical models for pre-surgical planning. Feetz recently made headlines for attracting $1.25 million in funding from Khosla Ventures, based in Silicon Valley, and other entities across the country. The team of seven is currently operating out of the The INCubator on Cherokee Boulevard and expects to expand its full-time staff over the coming year. 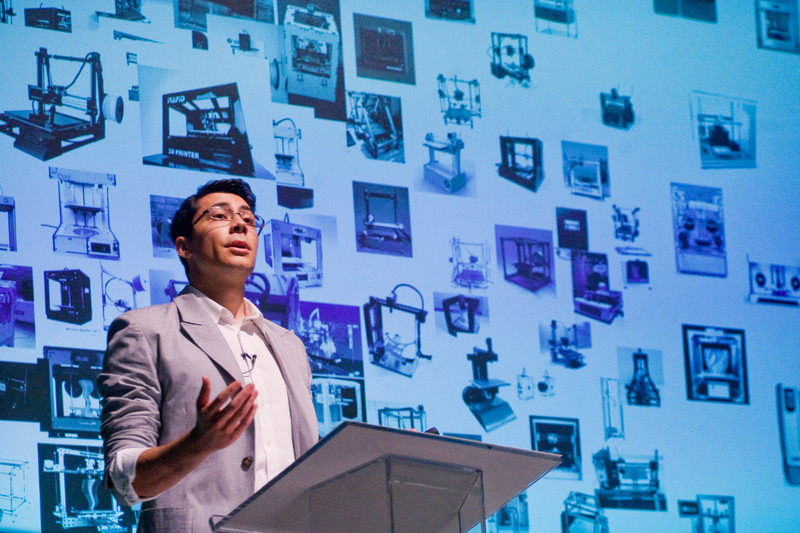 Reality AM, an additive manufacturing consultancy that grew out of GIGTANK 2014, will manage the 3D printing component of the 2015 program. Other local GIGTANK participants include a team of researchers and students from UTC. Each year, CO.LAB devotes one slot in GIGTANK to a group from the university as part of the UTC-GIGTANK Fellowship. Dr. Ashish Gupta from the UTC College of Business will lead this year’s recipient. This interdisciplinary team is developing a transformational big data platform that leverages Chattanooga’s gigabit Internet and GENI rack. The platform is connected to an array of sensors that are integrated with innovative mobile devices capable of performing real-time data analytics. This smart system has wide applications in rehabilitation care and sports injury. In addition to the UTC-GIGTANK Fellowship participants, a local startup with ties to both CO.LAB and Mozilla’s Hive Chattanooga will also be part of GIGTANK 2015. The company, called Adagio, is developing an online platform for multichannel audio applications. Led by Jonathan Susman, Adagio grew out of CO.LAB’s 48Hour Launch startup development competition in 2014 and later went on to receive funding from the Mozilla Gigabit Community Fund to continue building the application. The company recently showcased its progress at GigHacks Chattanooga, where CO.LAB extended Susman and his teammates an invitation to join GIGTANK. All members of the GIGTANK 2015 cohort will convene in Chattanooga during the last week of May. Participants will be available for a meet-and-greet with the public at the Chambliss Startup Social at Miller Plaza May 28. The event will take place from 5:30 – 8 p.m.
For more information about GIGTANK 2015, visit thegigtank.com.